Oryem is 36 years old, and is one of eight males in the Lacan Kwite beading group. He has lost a leg and major movements in one arm due to LRA fighting, and his work choices are very limited. Beading provides him with the finances to pay for schooling fees and provide food for his 4 children. Oryem hopes to save money to look for other business opportunities, and is looking forward to the continued growth of the market in Canada, which he hopes will grow to support the schooling of other children in Uganda. Christine Bay is 30 years old, and is the treasurer of the Lacan Kwite group. Christine is empowered by her work in the beading group, which provides her with money to send her children to school, pay house rent, and improve her quality of life. She is currently caring for 7 children, 3 of which are hers and 4 are orphans. Christine spends her days doing domestic work and making paper beads. She is very hopeful that beading will help to increase the quality of her life. Margret Obita is 50 years old and has 7 children. Her days are spent making paper beads and farming to provide food for her children. Beading has helped her send 5 of her children to school, and increase the yields of her crops. She hopes to improve her beading skills in the future for the market to expand in growth. Adong Filder is 32 years old, and cares for 6 children. 3 of which are her own, and 3 are her step children. Filder`s days are spent working part time as a cooking supervisor in a hotel, doing domestic work at home, and making paper beads while caring for her young children. Beading has helped Filder pay rent for her house, buy schooling requirements for her children, and help other children with hospital issues. Kilama James is 22 years old, and is without children of his own. James cares for his brothers children when he is not in school. He is currently studying carpentry in Secondary School, and hopes to continue his studies to become a teacher. Finishing school and finding a job are his main concerns, as jobs are scarce. James spends his days studying and doing site work carpentry training. Beading has helped him buy basic necessities like clothes, shoes, and soaps, paying rent, and supporting his nieces and nephews. James hopes to benefit other children with his support. Beatrice Oryem is 49 years old and has 8 children under her care, 5 of her own, and 3 orphans. Beatrice spends her days farming, making paper beads, selling beads to the local community, and caring to her young grandson. Beading has helped her put her children through school, as well as paying rent, buying food and medicine. She hopes to buy land and build a permanent home not far from town, and eventually open up her own craft shop. Lillian Omony is 37 years old, and cares for 7 children, 4 of which are her own, and three are her cousins. Lillian spends her days beading, accompanied with some small scale farming to provide food for her family, as well as cooking. Beading has allowed Lillian to pay her children's school fees and save money through Voluntary Saving Association for the future. She hopes to develop a business that will further support her in paying the school fees of other children effectively, build a house, and begin rearing animals. Ojok Godfrey is 23 years old, caring for 5 young children. None of which are his own. Godfrey is a Bodaboda motorcyclist during the day, and spends his evenings making beads to make money for the children dependent on him. The money he receives from beading goes primarily towards buying food for the children and himself. He is working towards self employment, by raising capital to begin a motorbike repair shop or salon, as he bares the necessary skills and knowledge. Atoo Florence is chairwoman of the Lacan Kwite. At 38 years old, Florence has 6 children. She spends Monday to Friday making paper beads, Saturday farming in the field, and Sunday going to church. Beading has helped Florence pay rent, pay school fees for her children, buy food for her family, and pay others to labor in her farmland and garden while she tends to her children. She wishes to buy her own land one day, where she hopes to live with her children and their families, while starting a small scale business. Lamara Susan is 27 years old, with 2 children of her own, and caring for 3 of her young brothers and sisters. Her main source of income comes from buying and reselling produce, along with small-scale farming. Beading has allowed Susan to pay for her children's hospital and school fees, and buy food. She wishes to save enough money to one day build a house. Everlyn Okello is 47 years old, and has 7 children. She is married to Okello Geoffrey, another member of the Lacan Kwite Group. Everlyn spends her days farming and selling tomatoes on the roadside. Her evenings are spent cooking for her children, and beading during spare time. The money she has received from beading has helped her purchase farming necessities, to grow sales. She has also enrolled all 7 of her children in reputable school programs. Everlyn hopes to move from a grass thatch hut to a semi-permanent house with iron sheets. Okello Geoffrey is 51 years old, and has 7 children. He is married to Everlyn Okello, another member of the Lacan Kwite. Geoffrey works as a tailor, and spends his time tailoring and farming to feed his family and earn an income, as well as domestic work such as cleaning the compound. Beading has helped Geoffrey pay the school fees of his children, provide food, along with clothes and books for his children. He hopes to begin rearing animals in the future. Susan Onen is 46 years old, and has 10 children of her own. Susan spends her time farming and selling a small selection of produce. Beading has allowed her to rent a plot in her village to begin farming, and pay the school and hospital fees of her children. 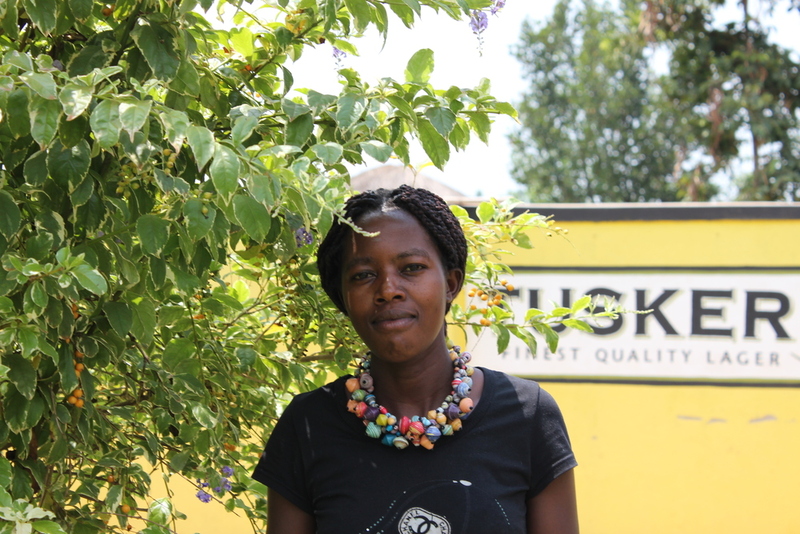 Susan hopes to expand her business, and make enough money to send her children to secondary school. Adokorach Ketty is 23 years old. Her young child recently succumbed to illness within the last few months, leaving her with no children. Kitty spends her days selling containers in a kiosk, making paper beads, and cooking. Beading has helped her support her brothers financially, buy household necessities, and clothes. Kitty hopes to go back to school and begin Senior 3. She wishes to begin rearing pigs to improve her financial wealth. Aciro Joyce is 45 years old, supporting 9 children of her own. Joyce spends the majority of her days making paper beads and paper bead jewelry, as well as cooking. Beading has allowed her to send all her children to reputable schools and buy their scholastic materials. Joyce hopes to save money and buy land in the future, to enable her to begin rearing animals and grow crops. Aciro Hellen is 45 years old and has 5 children. Hellen runs a small scale business of buying and reselling beans along the roadside. In her spare time, she cares for her family and attends church on Sundays. Beading has allowed Hellen to send most of her children to school. She wishes to earn enough money to continue sending her children to school until their completed education, and hopes to buy land to build a house for her and her children to live in. Laker Margret is 32 years old, caring for 7 children. 4 of which are her own, and 3 are under her care. Margret spends her days farming and making paper beads. Beading has allowed Margret to feed her children and buy the necessary scholastic requirements to send them to school. She hopes to one day be self employed through selling crops in the market. She wishes for her children to continue studying well to achieve a better future. Atim Irene is 38 years old, with 4 children. Irene's days are spent making paper beads, farming, and cooking for her family. Beading with the Lacan Kwite has allowed her to pay her children's school fees, buy food, and pay hospital bills. Irene hopes to one day have a good home, start a business to support her children, and to continue paying her children's school fees. She wishes for the Lacan Kwite to continue its growth to expand the number of children benefiting from the proceeds. Akello Evaline is 25 years old, with 2 children. 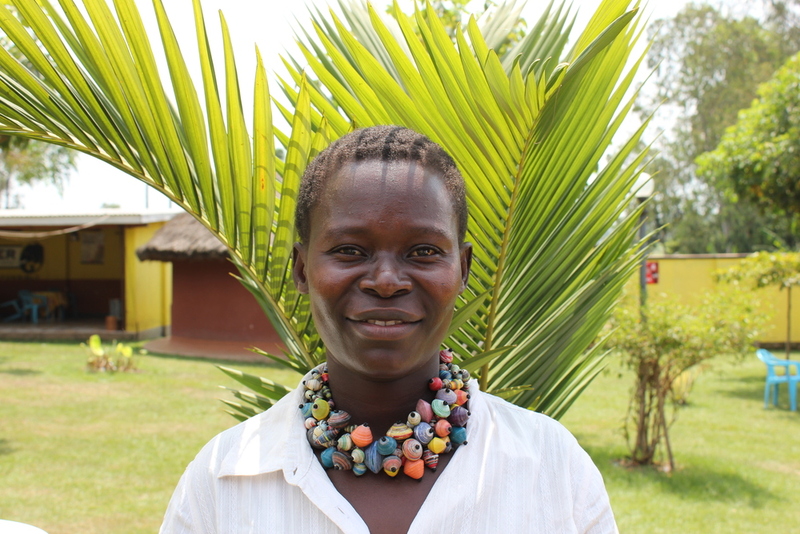 Evaline is primarily a farmer, spending her spare time making paper beads and cooking to feed her children. Beading with the Lacan Kwite has allowed her and her children to eat well, and wear suitable clothing. Evaline also uses her money to take local children to the hospital when ill. She hopes to one day continue her education, buy land, and begin a shop owning business.